You have deadlines to meet and people to see. You have places to go and goals to reach. You have all these responsibilities that mold and shape your life. How you handle these situations determine quite a lot. There’s one thing that we all do at some point though, and. that. is. worry. I had heard it before, but something about reading the entire context of it made it sound different to me. You see, worry is a common ailment. It’s a disease in all of us. Regretfully, it’s not like the chicken pox because you can catch it a whole lot more than once! Some of us are stricken with lots of worries. Some of us are carefree with just a few, but some people are guilted with anxiety and the weight of never ending worry. Regardless of which profile you fit into, we all have experienced it at some point. It’s gut wrenching, and can sometimes shut us down completely. It’s so true! At some point, you have probably heard the most common argument against worry: Can you fix the problem? Yes, so you don’t need to worry. No, so you don’t have to worry. It has a point, but sometimes it’s not quite that easy. You have to make a choice. You have to choose to be a warrior instead of a worrier. You have to choose to get better and to fight it. It’s not just a mental fight, but it is an attack on the essence of spirituality. We belong to a great God that gives us a reason not to worry. It doesn’t mean we won’t, but it means we don’t have to when we offer everything into the hands of the Father. Rereading this chapter in Matthew was such a great experience for me. Jesus spits out the mad truth at everyone in the most blunt way He could. He literally tells us that we are putting birds in a higher value than ourselves. Imagine how frustrating that has to be for Him! He has made these beings in His own image, and then He offers Himself as a perfect Savior to them. They have the greatest power in the whole universe on their side, but they still have fear that they’re dating the wrong person or if they left the stove on. Is that not the answer we seek? God’s peace is so extreme and unconditional that we will never be able to understand it. That’s what our worry needs! When you choose to be a warrior, your anxiety can not just disappear without a replacement. That substitution needs to come from the Lord. Prayer, peace, thanksgiving, and peace are just a few of the attributes that are perfect to diminish your concerns. As you can tell, there’s no shortage of Bible verses on the topic. The Lord knows we need it! He knows how much of a problem it is, but more importantly, He knows how much He can help. It’s a new year, which means it’s the perfect time to try new things. “New year, new me” I’m sure you have heard it, but we serve a God who is constant and unchanging. There’s no one better to seek than the One who can actually make us new. 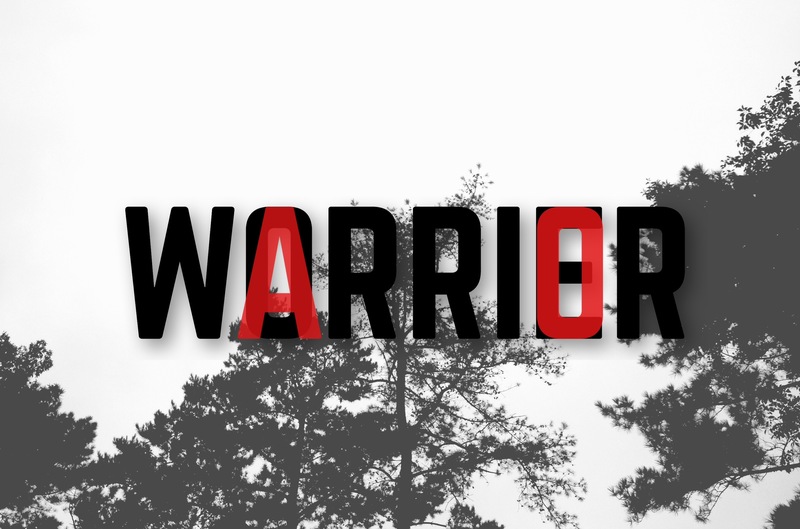 It’s 2015, will you be a worrier or a warrior? I really needed to be reminded of this. Thank you.